Welsh witchcraft is the traditional practice of magick and spiritual beliefs that stem from the Wales region of the United Kingdom. There is a lot of overlap in this area with Celtic or Scottish witchcraft, but there really are a number of unique characteristics to Welsh witchcraft specifically. 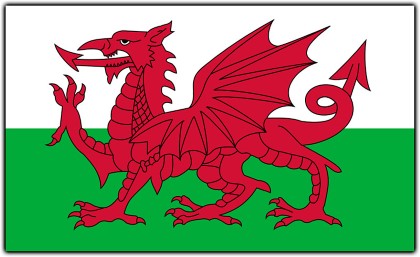 In case you're not familiar with geography, Wales is the south-western portion of Britain and considered a country in its own right as part of the United Kingdom. Details on Welsh practices are pretty slim, and most of our currently knowledge of Welsh witchcraft is based on the mythology and stories that have survived the centuries. In particular, the tales of the Mabinogi are our best view into the beliefs of the ancient Welsh. Many of the original King Arthur stories are also part of Welsh history. So what kind of magick did the Welsh practice? Actually, not all that much. Their day-to-day lives were tied to the seasons and their beliefs in the Gods, but the rituals and spells were left to the Druids. Today, Welsh ideas and Deities are often blended in with eclectic Wiccan practices, which is why you may recognize some of the Gods and Goddesses we have listed below. While not authentically Welsh witchcraft, it is what most people think of. There is a strong focus on nature, the seasons, harvest and food offerings. Rituals involving courage and success in battle were also likely common because the Celtic people often fought with incoming Anglo-Saxons. In the area of Wales, the Celtic people had the following Deities in their pantheon. Arianrhod - The Welsh Goddess of the moon, known to protect women. Blodeuwedd - Associated with the owl and the night, her story is of betrayal. Cerridwen - The Welsh crone of wisdom, witchcraft and the cauldron. Mabon - The fall equinox is named for the Welsh God Mabon, who is associated with the harvest time. Bran - Closely tied to the raven, Bran was once a hero and king who protected the land from invaders.